Bartoloni, are you able to update this to the new codebase? Last edited by Davy Bartoloni on Fri Aug 28, 2009 6:44 pm, edited 1 time in total. Re: Changing the startup "Boot LOGO"
As all ur tutorials,really really nice ...I love explanations about code ..as u did. I'm not vicmarcal, but either way... yes, there are source code packages along other means of distribution on SourceForge project page. Is there a link to download the default boot logo in its original 24 bit color? Nintendo Maniac 64 wrote: Is there a link to download the default boot logo in its original 24 bit color? This is the logo and this the one used in the bootscreen. It's a hack, ntoskrnl should support a black paletted bootscren but it doesn't, so the logo is drawn as a picture instead of the whole screen. All I wanted to do was run the logo through the (awesome) Scolorq dithering algorithm in Ximagic and see if I can get a higher quality result. I used a filter size of 3 and a dithering level of 10/100 - anything higher than 10 looked IMO too speckled when blown up to larger sizes. ...oddly enough, the result only used 14 colors instead of 16 - maybe something to do with the dither level of only 10? I tried your tutorial but my inbv.c file doesn't look like yours. 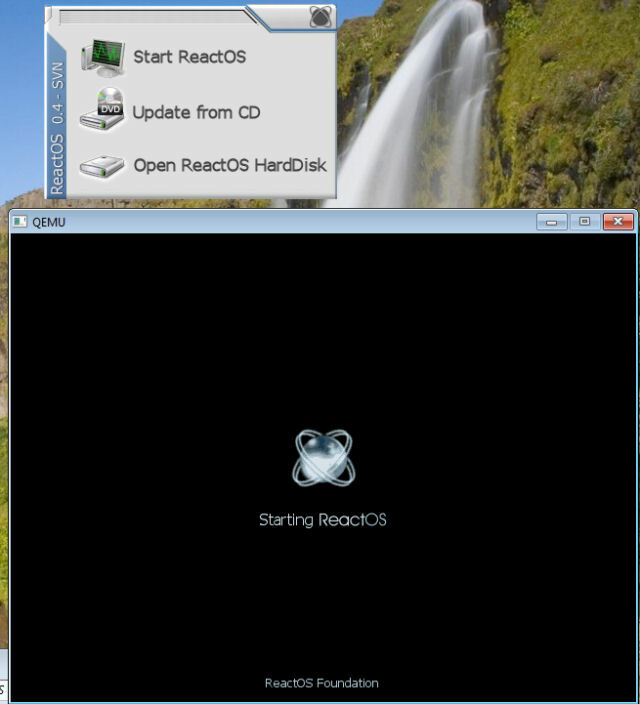 but recently the reactos-boot code was hardchanged and i have no time to look to it. I made a animated loading gif.